On my way to Birmingham, AL, I saw a sign for the Wheeler national wildlife refuge so I swerved across three lanes of highway and threw my car onto the exit. Just as I turn into the refuge, I see what I think is a dead squirrel. 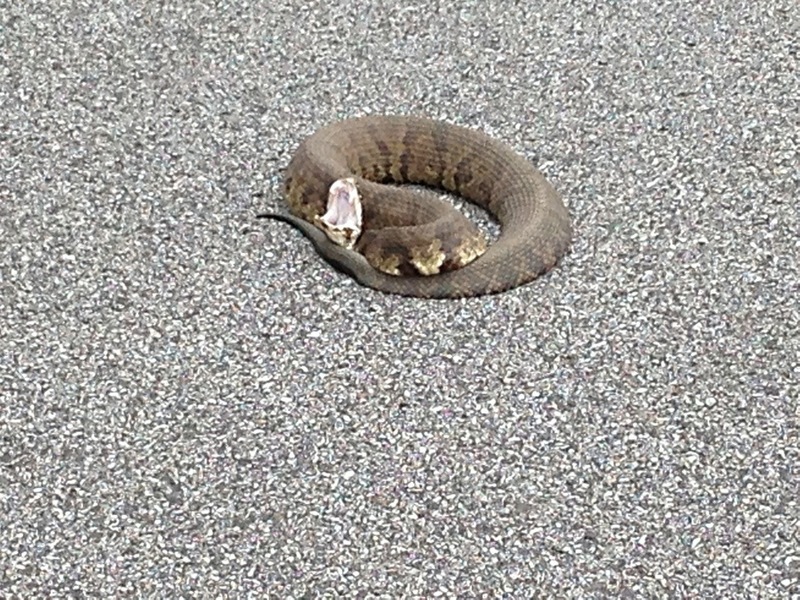 Turns out it’s a large copperhead snake that must’ve just eaten mouse and was in no shape to move fast off the road. Some guy pulled up behind me and did more than look, he started to stomp around to get the snake to bare it’s fangs and rattle its tail. It did even though it doesn’t have a rattle. 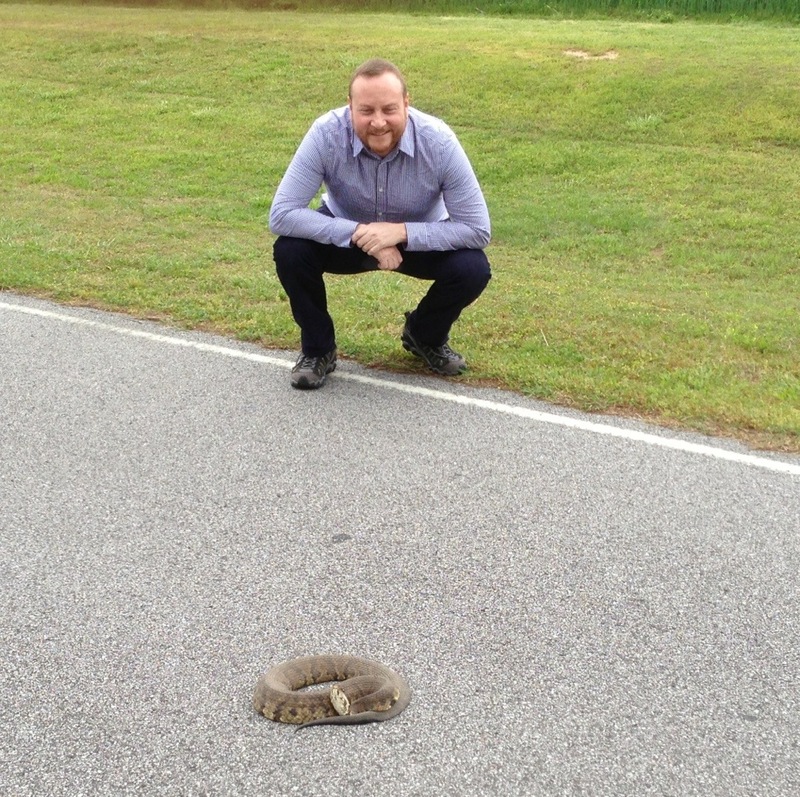 I told him to stop stressing the snake and take a picture of me. Me me me.